If there’s one question I get asked more than anything, it’s people wanting to know how to start a blog and make money doing it. I was in the exact same position a couple of years ago. I knew that it was possible to make money blogging, I just didn’t know how. Fast forward to the present and I now make a full-time income from blogging, I reach well over a hundred thousand people every month, and I get to spend my days at home with my toddler – blogging truly is the best job in the world. Because so many people want to know how to start a blog and money doing it, I’ve put together a free course that’ll teach you exactly that! The course goes for 7 days, but I’ve decided to publish day 1 here so you can get a sneak-peak and decide if you want to sign up (for free) for the following 6 days. The following tutorial is super-easy to follow and will show the first step towards starting a money-making blog. Click here to get started with Bluehost or click the image below, and the follow the step-by-step directions to get everything set up. 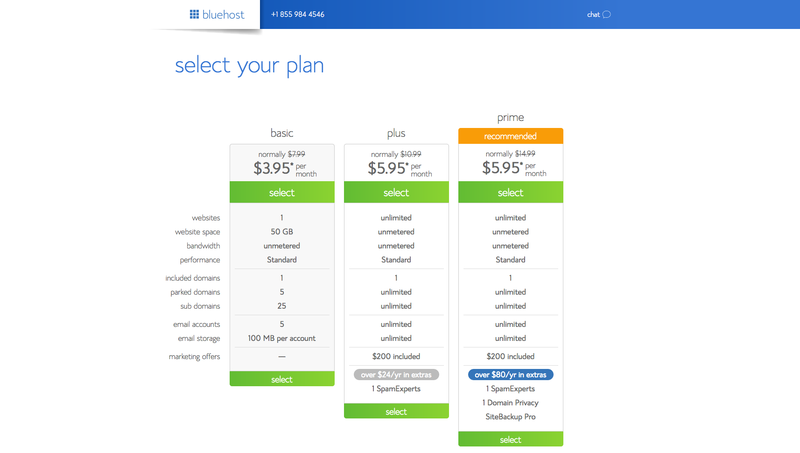 If you haven’t already gone to Bluehost.com, click here and do that now, then click on the green “Get Started” button. The first thing you’ll do is choose your hosting package. You’ll see there are 3 different packages but you can just start with the basic plan for now – that’s all you need in the beginning. Your domain name is the address that people will type into their browser to get to your blog. Try to choose something that is easy to remember, not spelled weird and doesn’t have dashes or dots in it. But my best advice is this: don’t stress too much over your domain name. Just choose something and go with it – you can always change it later if you really need to but don’t suffer from analysis paralysis! 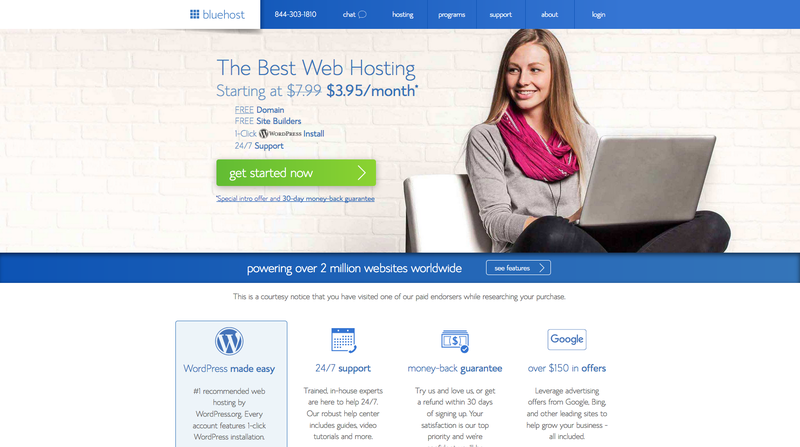 You’ll get a free domain name with Bluehost with your hosting package, which is a great bonus. When choosing your domain name, try to go with a DOT COM address (they’re easiest to remember and what people will naturally assume when they’re typing your address) and try to avoid using dashes and numbers, if possible. Now you’ll need to enter your billing information. You’ll also see that there are some extra services that you can choose to purchase. The only one I recommend is the “Domain Privacy.” Domain privacy means that your personal details (address, phone number, email address) remain private. Now just hit the green submit button. 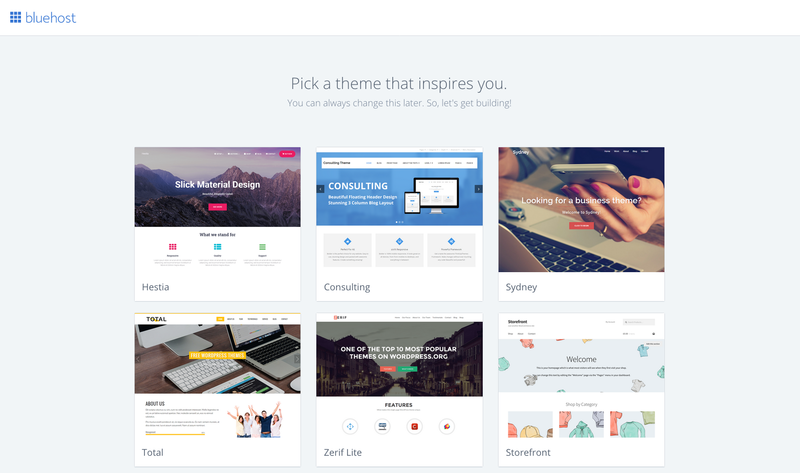 You’re now the owner of a shiny, new website. Now you need to install WordPress so you can start blogging. 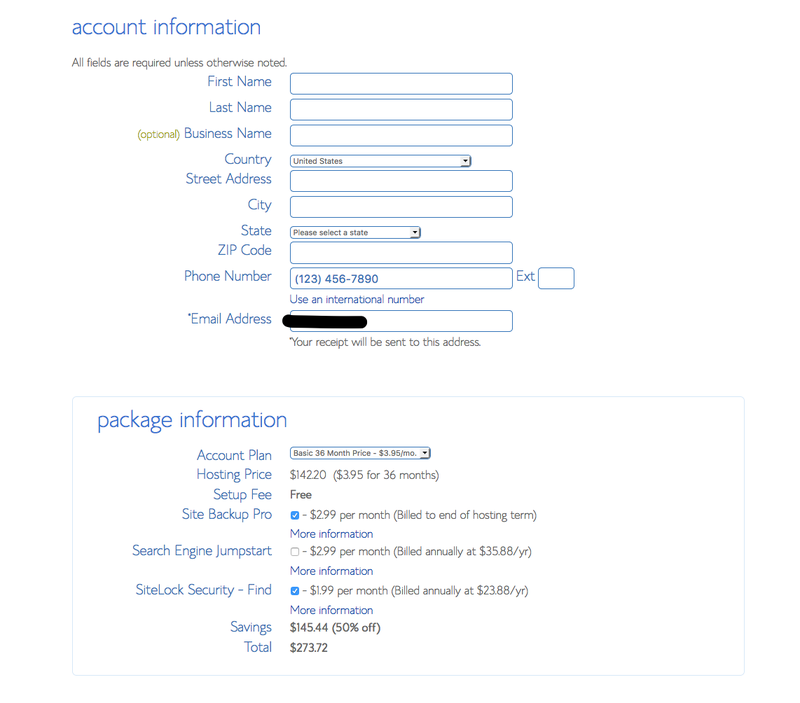 And here’s another great feature Bluehost – they’ve made this part super easy. You now have your own WordPress blog. If you want to know how to go from brand-new WordPress blog owner to actually making money from your blog, then I invite you to join the FREE Blogging 101 eCourse that I’ve put together for you. Just enter your details below to get started. Want to learn how to start a blog and make money doing it? 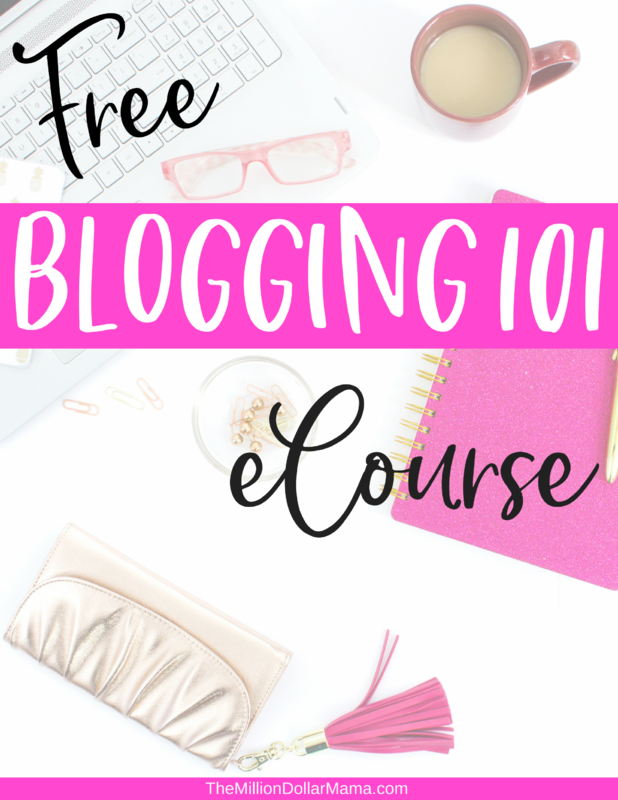 Join the free Blogging 101 eCourse! Just enter your details for FREE access.